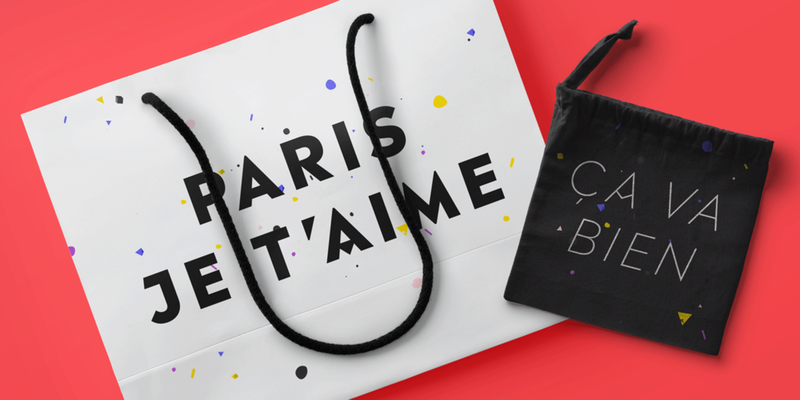 Designed by Malou Verlomme in 2018. 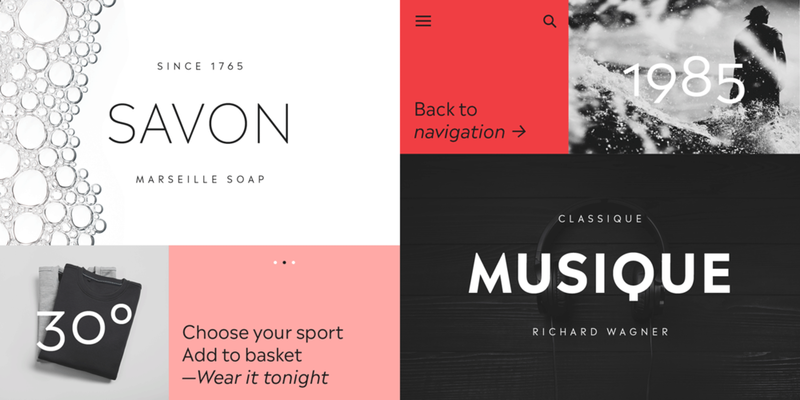 Published by Monotype. Madera supports up to 82 different languages such as Spanish, English, Portuguese, German, French, Turkish, Italian, Polish, Kurdish (Latin), Azerbaijani (Latin), Romanian, Dutch, Hungarian, Czech, Serbian (Latin), Kazakh (Latin), Swedish, Belarusian (Latin), Croatian, Slovak, Finnish, Danish, Lithuanian, Latvian, Slovenian, Irish, Estonian, Basque, Luxembourgian, and Icelandic in Latin and other scripts. 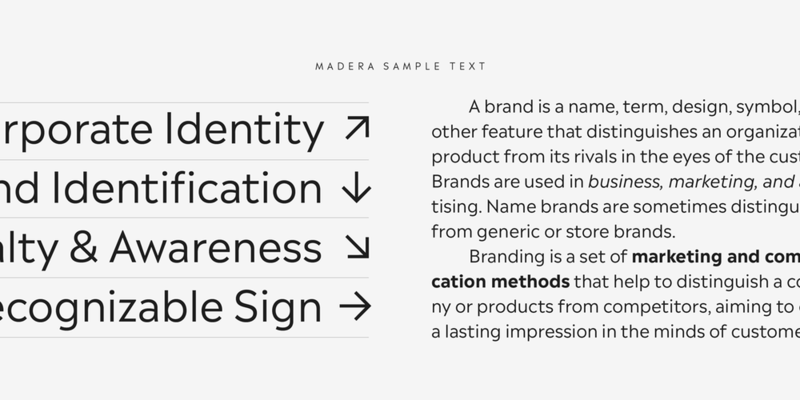 Madera is designed as a typographic toolbox – one that works effortlessly across print and digital environments, and answers the needs of graphic communicators, as well as major brands. 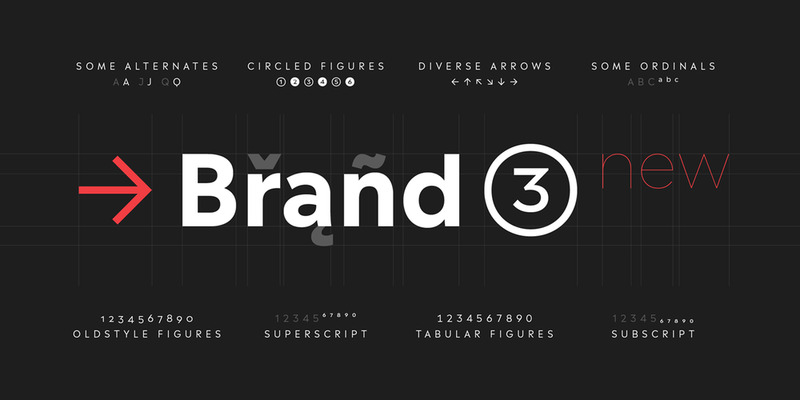 Its pointed apexes create some extra flavor, giving this straight-talking, straightforward typeface some punchy personality – particularly when set in caps, or in the heavier weights.